The unforeseen or unexpected loss of a loved one is a very difficult time for families. It is a time of heightened emotion, uncertainty, and perhaps feeling of helplessness. Yet, during this difficult time, loved-ones must persevere and make prompt and careful decisions in a sound and meaningful way. Many timely arrangements are necessary for the final disposition of the deceased. 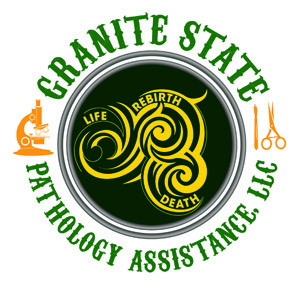 Grant State Pathology Assistance has decades of Autopsy experience to provide options to families and to instill a sense of control during their stressful time. All of our services are provided discreetly and in a professional and confidential manner. Our reputation for excellence and neutrality allows us to have an open relationship with families and guiding them to the proper postmortem procedure. An independent autopsy provides cause and manner of death, provide the answers needed to clarify unsettling questions and brings an understanding of the full circumstances surrounding the death. Informed decisions can then be made. As the remaining questions resolve, family members find it easier to let go and more able to look to the future. · Disclosure of a known or suspected illness that may have bearing on survivors or recipients of transplant organs. Who can legally request an autopsy? An autopsy can only be requested by the legal next-of-kin or legal responsible party. The legal party is responsible for signing autopsy consent form before the autopsy takes place. The autopsy consent form is available on this website for downloading. Authorization for autopsy can be obtained by telephone with autopsy staff and funeral director participating in a three-way conversation with written documentation on the autopsy consent form. How soon can we get the results? Preliminary findings are usually available within 24-48 hours of procedure. We will notify the legal next of kin or designee and discuss preliminary anatomic findings. The final anatomic findings will be available within 45-60 business days. What is the final anatomic diagnosis report? The final anatomic diagnosis report is the gold standard of diagnosis and the definitive official diagnosis. This comprehensive written report by a board certified pathologist includes the gross and microscopic examination and the opinion summary which explained the clinical pathologic correlations of autopsy findings. Where is the autopsy performed? An autopsy is quietly and respectfully conducted in the funeral home according to a strict routine that resembles a surgical operation. How long will the autopsy procedure take? Most autopsies are between three to five hours long. Autopsies can take place before or after the funeral arrangements have taken place. What is actually done at autopsy? The organs and internal structures of the head, neck, chest, abdomen and pelvis. A limited autopsy consists of a complete evaluation of specific organs or single organ and or limited area of the body as requested per the families request. What happens to the autopsy tissue samples? Each organ is dissected thoroughly and biopsy samples are sent to the histology laboratory where they are made into microscopic slides. These microscopic slides are kept in a file for several years. The organs are returned to the body. Will the autopsy affect the funeral arrangements? The autopsy will not interfere with appearance or arrangements of the funeral service. In autopsy cases that require brain removal the incision is always placed so as to be invisible after the body has been prepared for open casket viewing. At all times the families cultural and religious beliefs will be respected. Can an autopsy be performed if the body has been embalmed? Yes. If there will be a long delay (beyond 3days) between death and autopsy, embalming is highly recommended for preserving body tissues. But please note that embalming does interfere with most of the toxicology studies. Why did my loved one die? Understanding the cause and manner of death is the main goal of the autopsy. By looking everywhere in the body, we will leave “no stone unturned” giving families the explanations they want; whether the cause was in the head (for example, stroke), chest (for example, heart attack), or abdomen (for example, a colon tumor). A complete autopsy provides answers. Did everything go right with surgery? A complete autopsy will evaluate a surgical procedure no matter where it was in the body. Especially in cases where litigation is a concern, a complete autopsy is recommended. This allows the case to be performed in a thorough way and allows the case and report to reflect medicolegal standards. Sometimes when someone dies during or after surgery, the overall health of the patient can contribute to the death. A complete autopsy will help clarify what the patient’s health risks were around the time of the procedure. Please call us for an exact price quote based on the type and scope of autopsy. Requirements before autopsy procedure include: payment (no credit cards please) and autopsy consent form filled out and signed by legal next of kin.